An EMU workshop generally takes up to two or two and a half days with a trained facilitator. The first stage of the process can be done on your land area one-on-one or with a group of other land owners. The initial focus is on baseline mapping (see Salient Factor Analysis) interspersed with field traverses of mapped issues. In one-on-one exercises, the area is usually flown in the initial visit too. A flight, at about 120-130m (400ft) above ground level, is made over key features identified during the mapping process. If for various reasons a flight is not an option then an enlarged landsystem map and/or Google Earth imagery of the area can be used. This sequence of exercises is to record participants' local expert knowledge and to assess the area as a drainage ecosystem within the context of its units and subunits. The flight and overland trips to key areas help to identify where there is most value in intervening to protect and/or restore landscape productivity. A follow-up visit from the facilitator generally occurs about four to six weeks later in which major opportunities for change are reviewed and implementation is planned. On an on-going basis the map overlays with dated observations combined with a set of landscape monitoring sites, photographed at fixed points from the ground and the air, is the pre-eminent means of recording monitoring information for planning, management, revision and refinement and for tracking change. 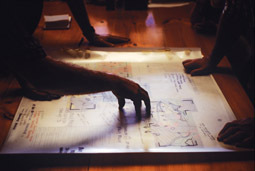 Developing greater proficiency in landscape management is markedly enhanced by maintaining an ongoing dialogue with the base map and overlays by drawing in new field data with the date of the observation. Hence it is recommended the map and overlays are laid flat on a small table or bench amenable to ease of access at all times (ie. not rolled up or hung on a wall). Management of the land needs to be by means of careful observation and thoughtful intervention. The landscape is the textbook to be read and understood. The workshop process is more about ‘share and do’ than ‘show and tell’- attempting to elicit responses and capabilities of both the participants and the land - instead of cramming facts. 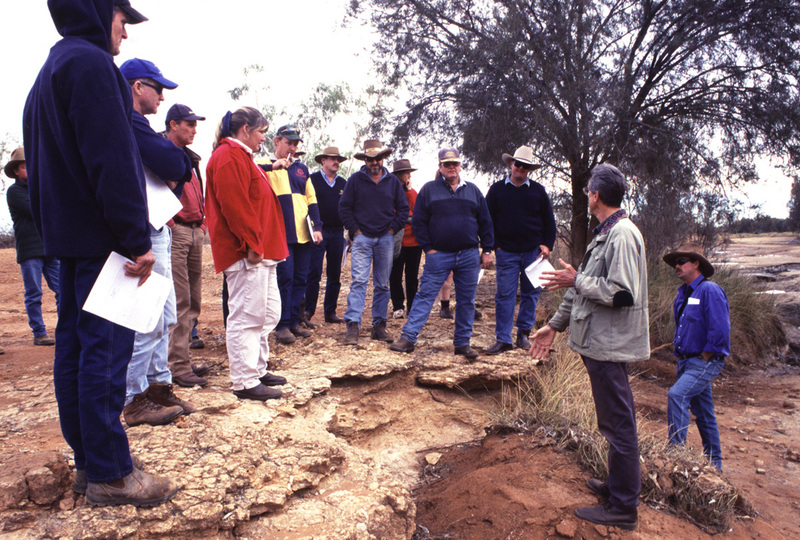 Ideally community sharing will shortcut the workshop process in that EMU-nised land managers spread their know-how to others leaving the trained facilitators free to visit new areas or to re-visit and re-motivate areas previously visited.